When starting out a vegetable patch or at an allotment, it is often quite overwhelming as there is so many possibilities when it comes to the different produce you can grow. 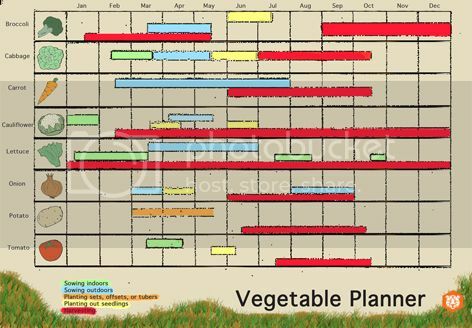 This Vegetable Planner can help when organising your time and your allotment, and starts with 8 basic vegetables that can be used in a huge variety of meals. However, starting out on a vegetable patch or allotment can be quite daunting so here are some tips to help you get growing. · If you’re a beginner, starting on a smaller plot will make it easier for you to manage. When starting out it’s a good idea to talk to other gardeners who work on the allotment to find out what’s been successful and what hasn’t been on their plots – this could save you a lot of time in the long run! First job should be take care of your soil and make sure it’s fit for purpose, so sort out any weeds and other pests. Make sure your tools are up to scratch and well looked after – investment in the long term will yield better results. Keeping them in a secure shed or outbuilding will ensure that they stay safe and in good condition. Broccoli – a popular variety that is commonly grown is the Sprouting Broccoli Claret F1. It’s easy to pick and grows in poorer soil so this is a great variety for when you’re just starting out. 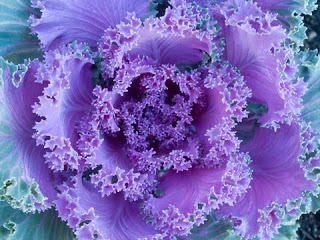 Cabbage – there are three different general types of cabbage – winter, summer and spring types. For example, the Kilaxy variety of cabbage is a summer type and can be harvested in late summer/early autumn. Carrot – if you want to start growing carrots as soon as possible, go for the type Adelaide AGM as this can be sown in February or March. Make sure to use a cloche for protection. 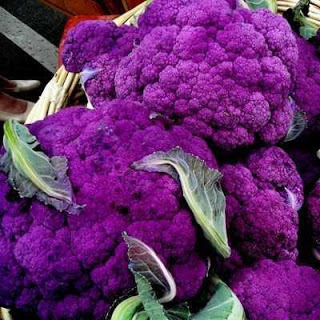 Cauliflower - there are many different varieties of cauliflower – why not try a purple variety such as Purple Graffiti to add some vibrant colour to your vegetable patch. Just remember to harvest cauliflower as soon as it’s ready. Lettuce – Set AGM is a variety of lettuce that is fairly easy to grow, so would be good for beginners. However, in the summer watch out for lettuce root aphid – this pest attacks the lettuce roots so you may not be able to see it but look for ants around the plant as this can be a sign. Keep the plants well watered as this can help suppress the damage. Onion – You can start sowing onions from March to April and they are better suited for open ground so they are a great choice of vegetables if you’ve got an allotment or a spacious vegetable patch. Potato - Ideally potatoes need be in a sunny site away from frost, so before planting anything have find out how much sun exposure your plot receives. 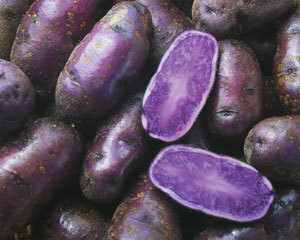 March/April is the perfect time to start planting tubers. Tomato – You can plant tomatoes indoors or outdoors depending on what you resources you have available. Ferline beefsteak tomatoes have some resistance to tomato and potato blight so could be a good variety to start with for a beginner. Whatever you decide to grow, good luck and here's to a bumper harvest in 2013.